When you’re done, you’ll have a video in your post, similar to the one inserted below. 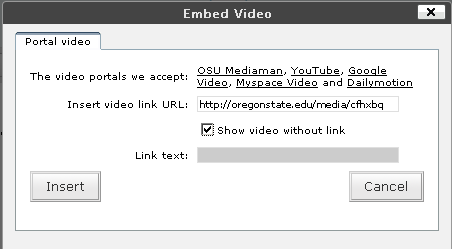 At this time, the plug in only supports OSU Media Manager, YouTube, Google Video, Myspace Video and Dailymotion video. Is there another video site that we should support? Let us know by submitting a help ticket.